Tire blowouts are one thing, but blowouts on the knees of these bad boy skinnies get you down the road to your next tour stop in style. Brand: TOPMAN. 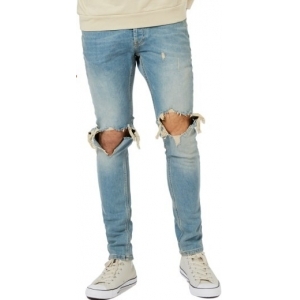 Style Name:Topman Ripped Stretch Skinny Jeans. Style Number: 5311215. Available in stores.